Dropbox is indeed a great application. It gives you a free 2GB of storage space to store your files and allows you to access to them and sync them between different computers, regardless you are running Windows, Mac, Linux or any other smart mobile device. However, as good as it gets, there is one major issue. All the files that you have stored in the cloud are not encrypted. 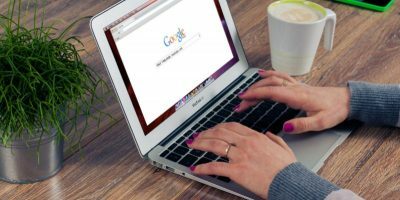 Whoever hack into your account can view and access all the files in your account, including those confidential documents that you have synced over the cloud. Why is this important to you? A mistake made by the Dropbox team few days back had left the Dropbox’s main door open for 4 hours. 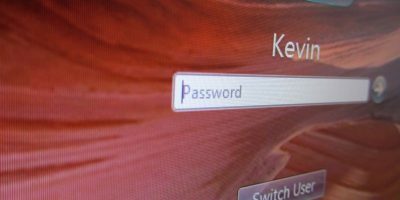 During this period, anyone can log into any account and access all the files in that account without any passwords. While this affects only 1% of its users (which amounts to about 250,000, and that is not a small number), if you are one of those whose accounts have been compromised and you have confidential files in your Dropbox, you better watch out for the bad things that might happen to you. Since you never know when such incident will happen again, it is best to encrypt your files before you sync them to the cloud so there is a second level of defense when your account has been compromised. SecretSync is a file-by-file encryption solution for Windows and Linux. Once installed, you will find a new “SecretSync” folder in your user directory. Any files that you place in this folder will be encrypted and sync to Dropox. 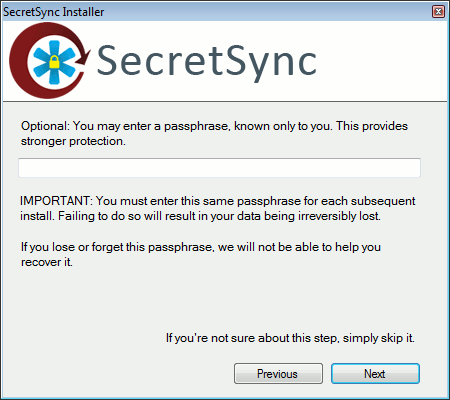 The installation and usage of SecretSync for Windows is pretty straightforward. You simply download, install and run it. it will then guide you through the encryption process. For Linux, the usage is purely command-line based. 1. You have to first download the deb file and install it in your system. This will run the installer and download the necessary files from SecretSync site. It will also run you through the setting up process. to start the SecretSync service. You should see a new SecretSync folder in your Home directory. Any files you place in this folder will be encrypted and synced to Dropbox. Note: The latest version of SecretSync will add itself to the autostart item automatically. The following step is meant for the older version. To get SecretSync to autostart everytime you login, go to “System -> Preferences -> Startup Applications” and create a new startup item. Encfs is a better solution than SecretSync because it stores the encryption keys on your local machine and it can work in Linux (natively), Windows (via BoxCryptor) and Mac (via MacFuse), which is great if you use Dropbox on more than one operating system. 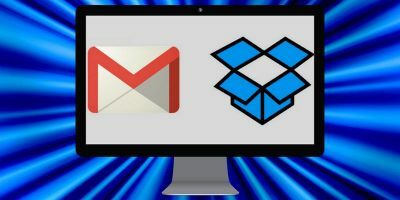 The above command instructs encfs to create an encrypted hidden folder (with name .encrypted) in Dropbox and mount it in the Private Folder in your Home directory. When it prompts you for the configuration option, press “p” follow by Enter. Next, it will ask you to enter your password. Be very careful with what you type since it won’t appear in the screen. That’s it. Whatever files you place in the Private folder will be encrypted and synced with Dropbox. To get the encrypted folder to automount everytime you log in, you can use gnome-encfs. 1. Download gnome-encfs here (or grab the source here) to your Home folder. In Linux, Cryptkeeper is an application that provides a graphical interface for encfs. It doesn’t come with the full configuration option for encfs, but if you need an easy way to get started quickly, this will be very useful. gsettings set com.canonical.Unity.Panel systray-whitelist "['Cryptkeeper']"
BoxCryptor is not really a GUI for encfs, but its encryption method is compatible with encfs. If you have created an encrypted folder in Linux, you can use BoxCryptor in Windows to mount the same encrypted folder. 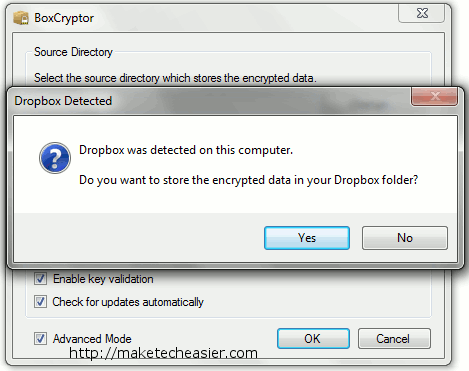 TrueCrypt is another powerful and cross-platform compatible encryption tool that you can use. We have mentioned it here and here, so we won’t go through it again. One disadvantage of TrueCrypt is that you have to create a fixed size virtual container before you can use it. In addition, you can only get it to sync after you have unmounted it. This means that you won’t be able to sync your files in real time. Other than that, if you need a true cross-platform solution, then TrueCrypt is definitely the one for you. That’s it. 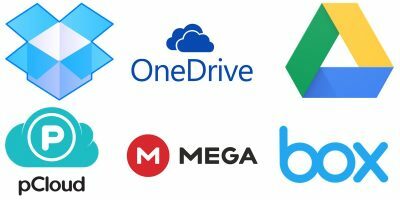 Which method do you use to secure your files in Dropbox? I’ve just signed up for SpiderOak since stuff sync’ed with them is encrypted on your machine before being sent to them. They don’t know the password to read the files. (You know, like we all thought DropBox worked…) That, and their software is multi-platform and I run Linux.You get 2GB of storage for a free account:https://spideroak.comBut if you use someone’s referral link. Plus, if you use the code ‘worldbackupday’ when registering like I just did (no idea how long it’ll still work), then you get another 3GB on top of that, for a total of *6GB*.Nice. Hopefully the service lives up to its pretty nice specs.P.S. No, I don’t work for SpiderOak, nor do I know anyone who works for them. Thanks for your recommendation. We have written about SpiderOak before and we too think that it is a good alternative to Dropbox. Hi, this is James with SecretSync. The latest Linux version will automatically add SecretSync to autostart, so that step is unnecessary. Thanks. I guess I should also mention that if you use a passphrase during install, this is only stored on your computer. We have absolutely no knowledge or access to this key. We manage keys dynamically for those users who don’t want to have to worry about keys between systems. 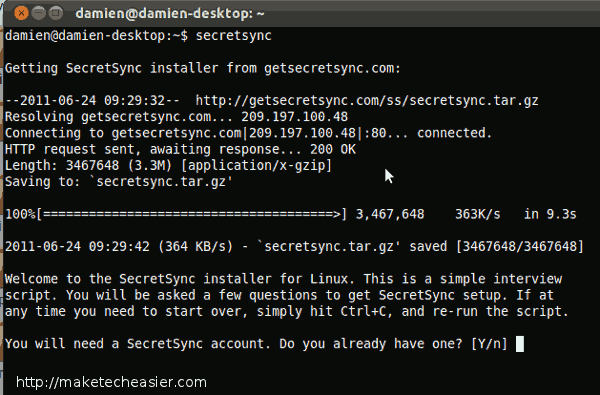 SecretSync is a client-side process, and we have no access to your files or Dropbox/SugarSync/Ubuntu One etc, account. In fact we don’t even know which sync service you may use, although we assume Dropbox in most cases. 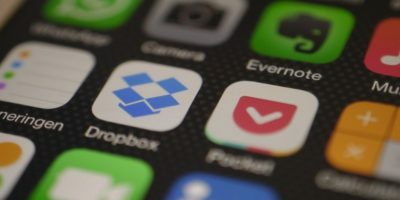 So you still have control of your data’s privacy, since we only know your key, while Dropbox only has your encrypted files (and no knowledge or access to the key). For Mac, there is another free tool called BoxProtect. It’s compatible with encfs and there is also a mobile client for iPhone. Thanks Mike. BoxProtect seems like a great software. We will check it out. 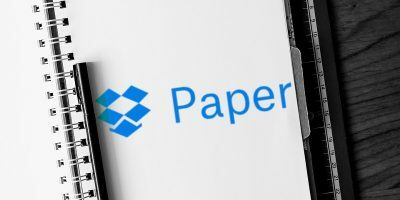 What Is Dropbox Paper, and How Do You Use It?